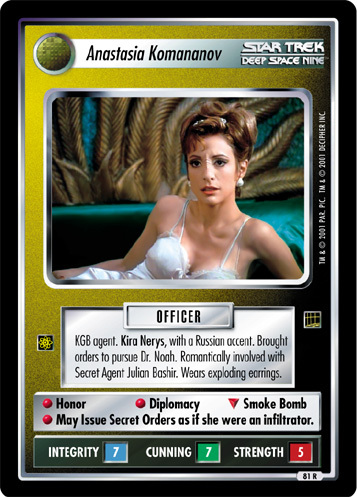 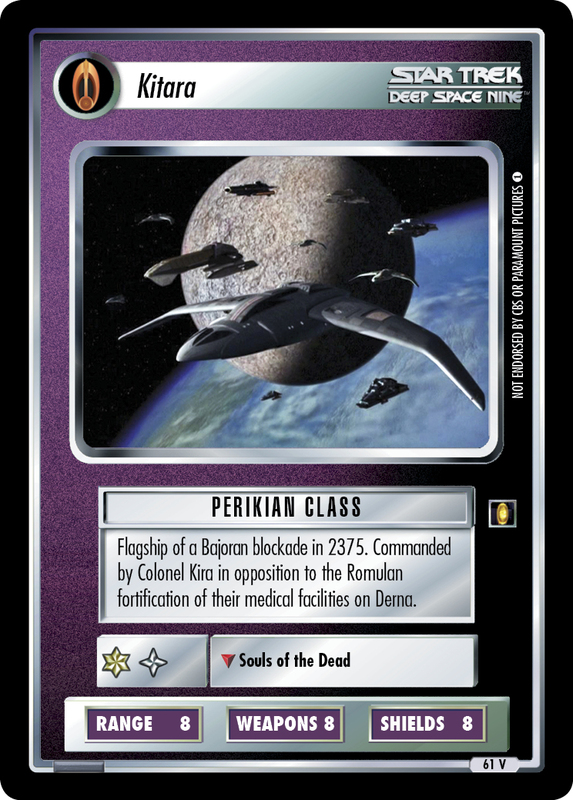 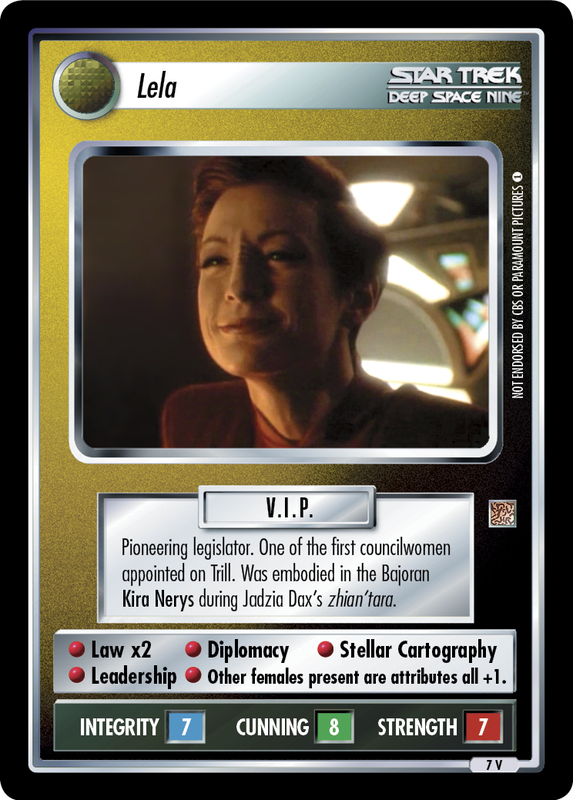 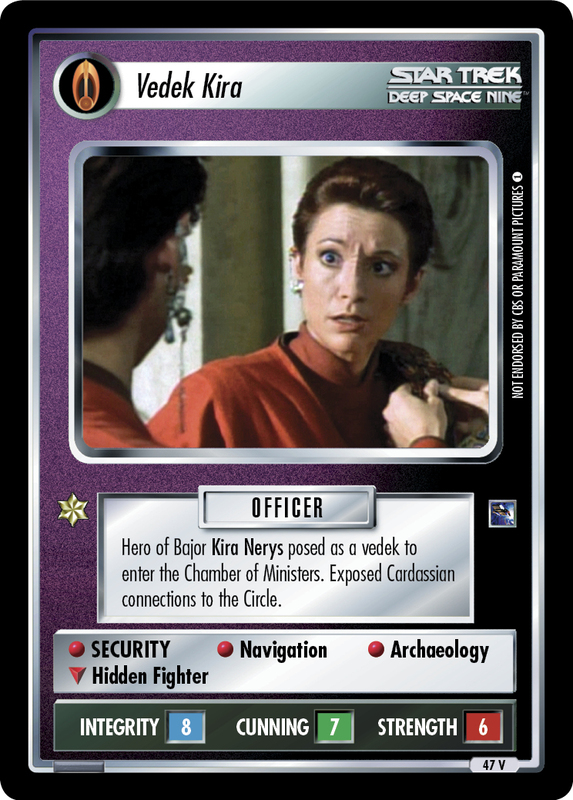 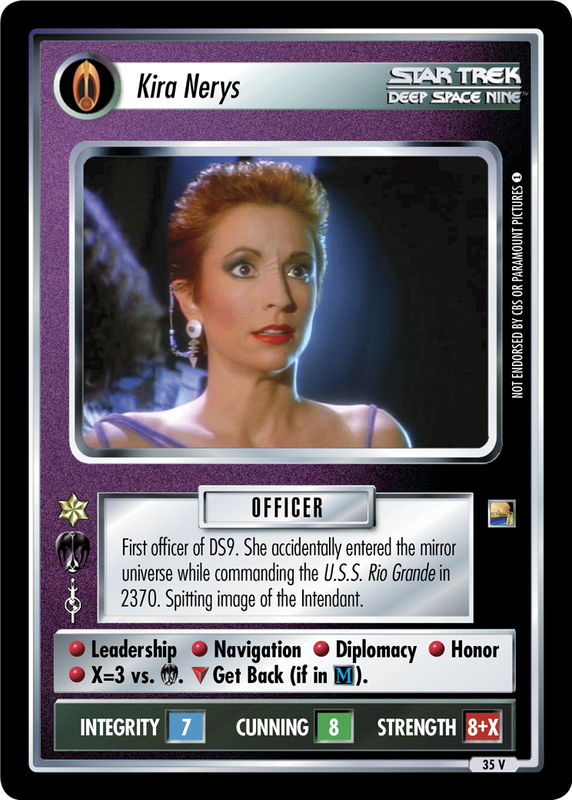 During Captain Sisko's absence after the death of Jadzia Dax, Kira Nerys was promoted to command DS9. 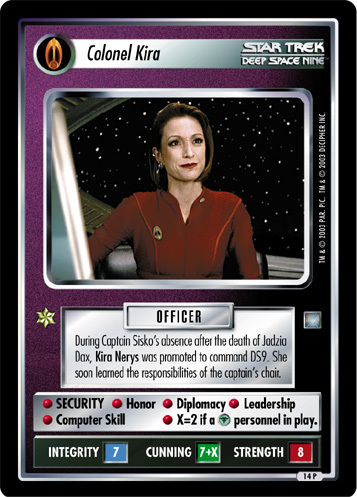 She soon learned the responsibilities of the captain's chair. 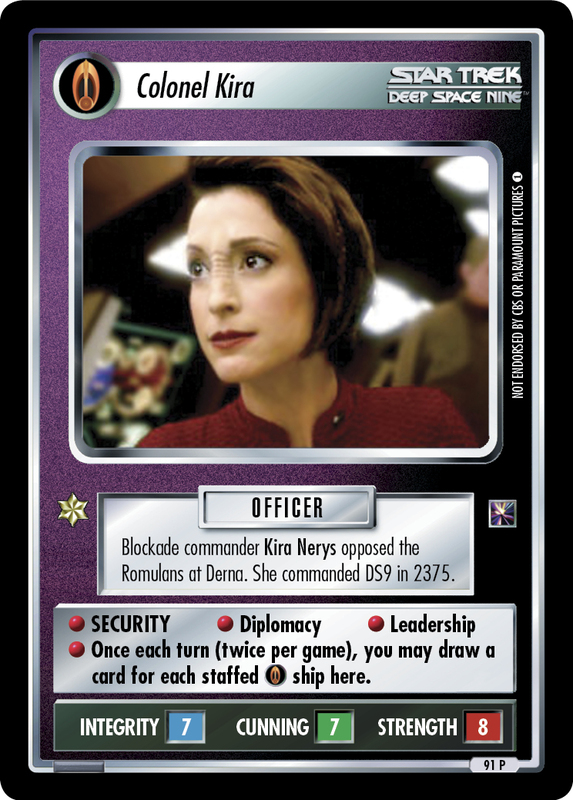 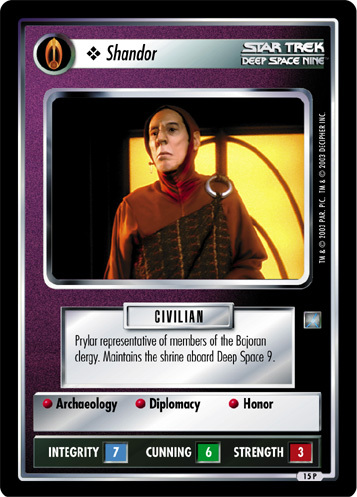 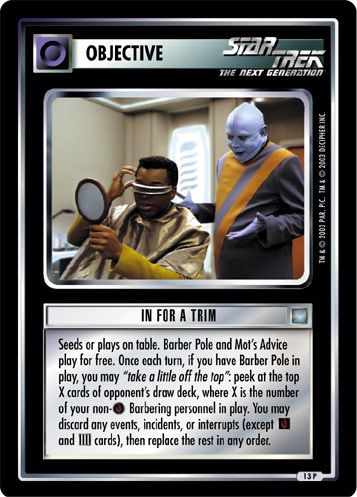 • SECURITY • Honor • Diplomacy • Leadership • Computer Skill • X=2 if a personnel in play.